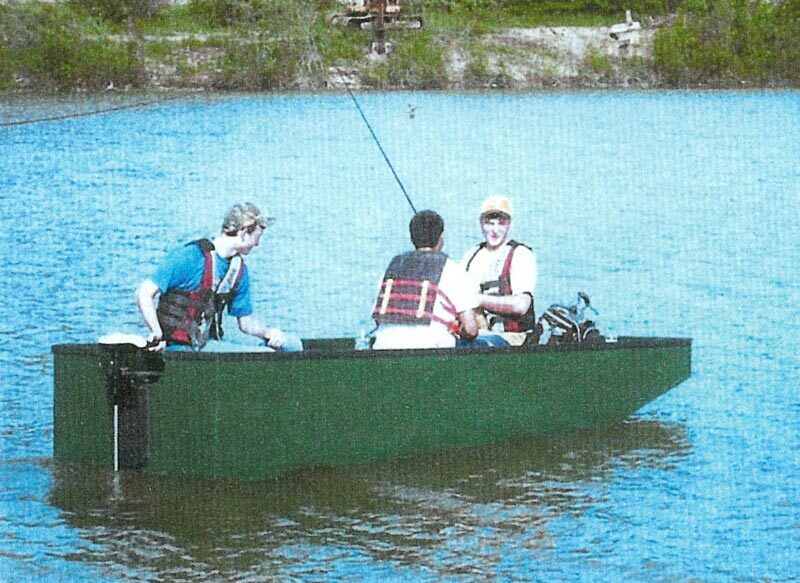 Students Sheldon Patterson, Ross Melhorn, and Andrew Dingledine built this Jon boat at Edgewood High School in Trenton, Ohio, under the instruction of Mark Schallip. They found plans for the 12′ x 4′ hull online and then modified those plans to create this design. The hull is plywood and cedar, then covered the seams with fiberglass tape. The trio enjoys fishing in the 12′ x 4′ boat on the lakes and ponds of southwestern Ohio. More information on this design is available from Mark Schallip at mschallip@edgewoodcityschools.k12.us.